WholeFrog Body Cleanse is here! Cleanse with us and feel amazing again! 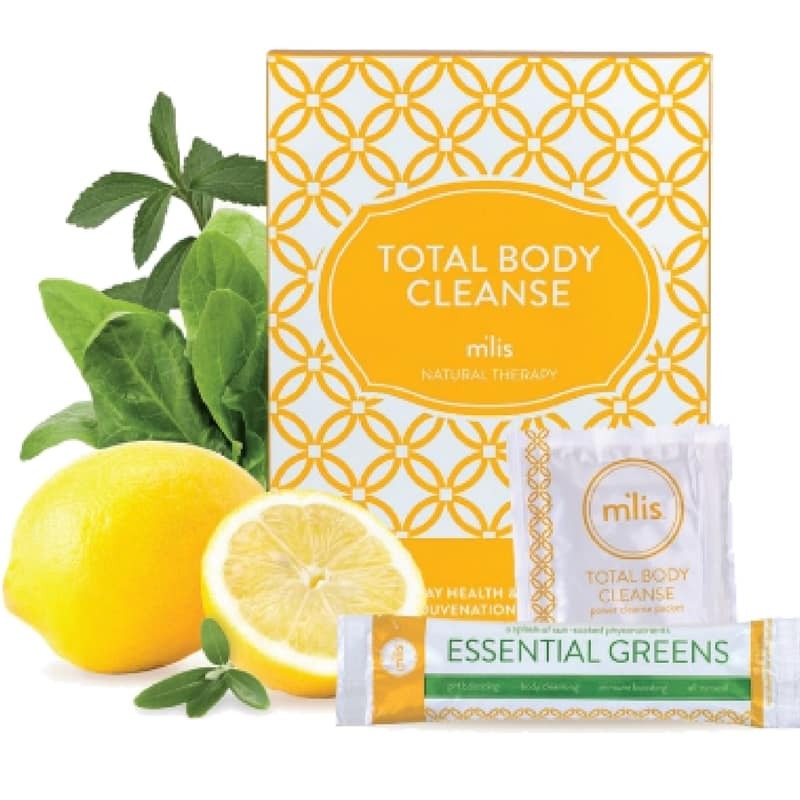 We love the M’lis cleanse products. Read below their story and why we chose this cleanse to be our favorite! DETOXIFICATION…. The first time I heard this word was in 1979 when I had reached the end of my ability to cope with progressing health problems. By the time I was 38 years old, I felt hopeless and helpless in everything I had been trying to do to improve my health. I had been on 30 different prescriptions during that year, and each one seemed to solve a health issue, but cause another health problem. I had been controlling all my symptoms with drugs. I was hooked on sugar, caffeine, and fast foods. I was introduced to someone who had been detoxifying for some of the same health issues and had been going to a naturopath in California. I became intrigued and went with them to see this doctor. As I began to hear about detoxification and the principles used in rejuvenating the body, I began to focus my energies on becoming educated in how the body works, what our organs are meant to do, and how to love a cleansing lifestyle and allow the body to rejuvenate and get healthy. I began an internal detoxification program involving herbal formulas and plenty of water, allowing my body to rest and cleanse. Within two weeks, I felt my life returning! As I began to restore my health, I had a desire to change my life, the lives of my family and loved ones and become educated so that I could help others who are in the pursuit of health and wellbeing. I continued my studies and received a PhD in Preventive Health Care, and became a Naturopathic Doctor, I have focused on education within the Spa and Wellness industry to help others become mentors and educators in teaching a healthy, cleansing lifestyle. Your skin in the largest organ of the body and it is considered one of the major detoxifying methods to keep the body clean and healthy. On an average person, the skin covers about 22 square feet and weighs about 9 pounds. (Usually about 7% of body weight) The skin is considered both a semi-permeable membrane and a front-line defense against toxic external substances, and an important organ of detoxification and elimination. Approximately 10% of body elimination occurs through the skin. The saying, “Beautiful skin begins within,” explains the connection to leading a toxic lifestyle and being unhealthy being the direct connection to many skin disorders. Get started on your cleanse >> sign up for more information! As you go through an internal detoxification program, many times there is a healing crisis, where the skin is in accelerated detoxifying. Your symptoms may get more pronounced during this process. As the body clears, the skin also clears. Regular internal detoxification. At least 4 times a year, with the change of seasons. More often until your health and skin is maintained. ● Proper hydration – Drinking ½ your bodyweight in ounces each day of pure water. ● Essential supplementation – 100% vitamin and mineral, absorbable calcium, antioxidant supplementation, and omega 3-6-9 supplementation. Cellulite is described as a condition of uneven deposits of fat, water and wastes trapped in connective tissues of the body. Cellulite occurs primarily in the hips, knees, upper thighs, abdomen and upper arms. Studies of cellulite found the biggest contributor towards a cellulite condition was poor blood circulation and poor lymphatic flow. However, toxic accumulation and fluid retention are also major contributors in the formation of cellulite. Loss of blood flow to an area, whether from a lack of exercise, excessive sitting, clogged arteries, or nutrient deficiency, can have a disastrous impact on cellulite formation. According to cellulite experts, cellulite generally chooses areas with poor circulation and as a result, the toxins and waste materials get more clogged and harder to remove by normal body processes. The amount of damage that inhibited blood and lymph flow can do in fragile connective tissue cannot be calculated, but every system of the body is adversely affected when cleansing systems are reduced or blocked. Cellulite is a toxic body condition!!!! To permanently eliminate cellulite, you must start at the source of the toxic body and detoxify internally. If you have a toxic body and a toxic colon, and in return are hampering the elimination of toxins, you will always have cellulite. It has been said that almost all degenerative disease and chronic disease is caused by the buildup of toxins in the body. Learning to detoxify and lead a cleansing lifestyle can save your life. Dr. Linda Nelson, PhD, ND has been educating using the benefits of detoxification and living a healthy lifestyle for 27 years. She has a PhD in Preventive Health practices and is a Naturopath. Dr. Nelson is the author of “Living Symptom Free – Fibromyalgia and Candida”, and “Losing Mom, Preventive lifestyles for Alzheimer’s and dementia”. Wallace Nelson PhD. has a doctorate in Preventive Health Practices. Wallace is the CEO of the M’Lis Company. Dr. Nelson has been teaching detoxification therapies for 18 years.